Honey….., Say My Name….. Correctly. throughout my school years i blamed The Mother for such weird uncommon name. how can she named me like that? without the ‘E’? T_T ohya, The Mother is funny too. she named me Leanor, right? but up till primary two she still wrote Eleanor on my exercise books while the whole school called me with my ‘mandarin’ name which was totally different. so pls imagine the confuse kid i was. seesh! then when i was in primary three and smart enough to know things. i finally realised the correct spelling. T_T it is without an ‘E’ in the birth cert and report card! 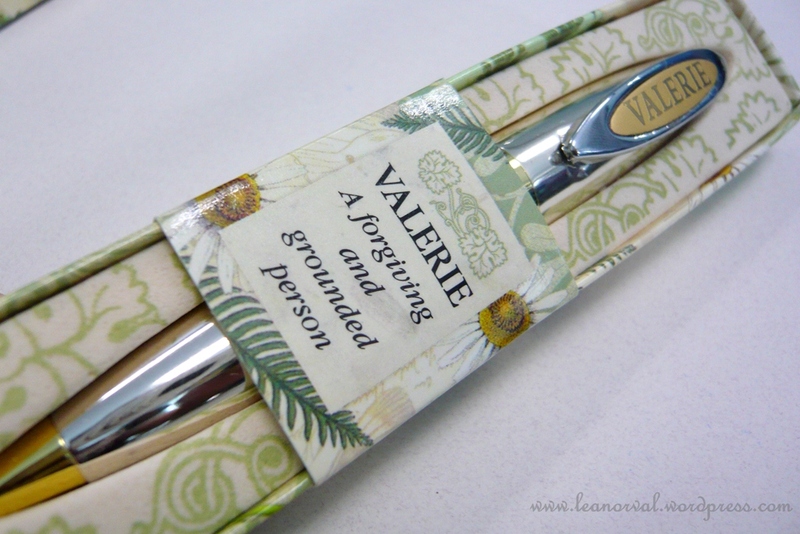 years later during one of my sem break, i did read the book (which i assumed it was), but sadly there wasnt any Leanor / Eleanor and Valerie in it at all. teii!! must be from another book. sigh! but i did found both names in one of my john grisham’s collection though. and of course it was Eleanor not Leanor. KNS! now, ppl still raise their eye brows whenever they hear my first name and contemplate which name to call me. 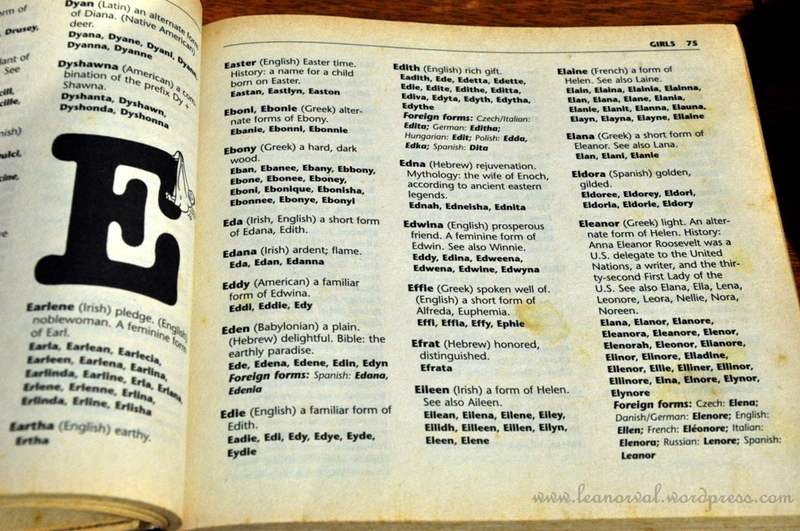 but at least now most of them pronounce it correctly. 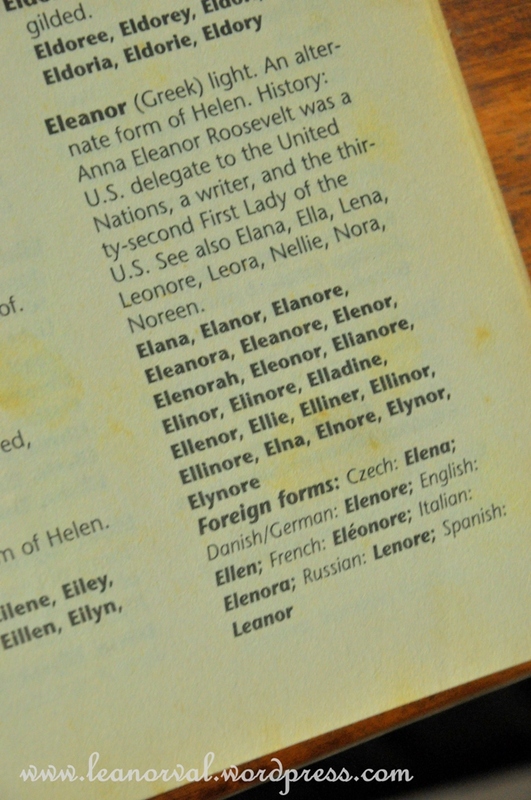 i still haven’t meet or heard anybody else with the same name but have met Eleanor and Eleanora. *sigh* and we had a good laugh about our names. hmmm… my name actually means compassion or light. proved that the name does exist despite not being popular. wah!! my final year thesis!! compiled together with the rest of selected ones. hahaa! although it’s in bahasa melayu (it’s a requirement) but at least i’ve been featured in such intellectual way!! LOL!! worth all the restless long hour journey to the case study location and sleepless nights and smelly lab and the butterflies during viva presentation aey! and apparently, i am the only person with the name exist on facebook. teiii…. i can say that i am rather proud with my unpopular name now. i’ll get pissed off when ppl spell it wrongly. now i treat my name as my very treasured possession. cos God calls us by name!! Hello! *waives* have i bored to sleep?! sorry T_T and last but not least more about my name in err… pixels form. my boss gave this to me from her trip to The UK. she said she couldnt find my first name. i understand boss, i really do.